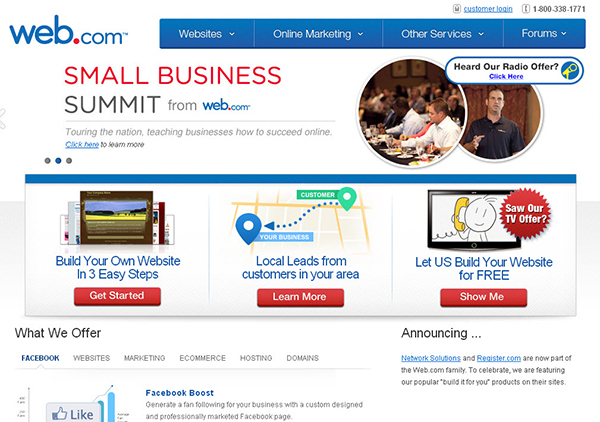 One of the most visible brands in web hosting, Web.com is a one-stop shop for everything webmasters look for most. Starting as low as $0.50/month, you’ll receive inexpensive webhosting with the power to support your site. Web.com starts with unlimited bandwidth and domain hosting, but doesn’t stop there: you’ll also get drag-and-drop site building, eCommerce integration and dozens of the Internet’s most popular plugins. If you’re less tech-savvy, you’ll also have access to pre-built templates, which can be easily edited to fit your personal tastes. And, if you ever hit a bump in the road, Web.com has your back with 24/7 phone and chat support to personally help you. 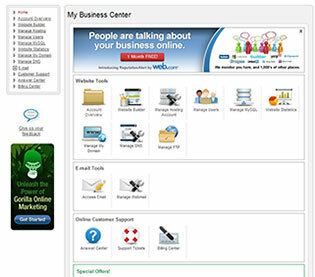 For all your online needs, Web.com could be the very best place to start. With incredibly intuitive site building tools, Web.com is designed to help you build an attractive site as quickly as possible. Starting with your free domain name, you’ll be well on your way to creating the website you’ve always dreamed about. Web.com makes the next steps incredibly easy, giving you professionally designed templates that you can edit with a point-and-click interface. With over 9,500 design layouts, you could be online in no time. Perhaps just as impressive, you’ll have access to thousands of stock photos from Web.com’s library, quickly filling the content on your new website, while giving it a professional look. Other than design functionality, you’ll find a lot of great features built into Web.com that can make your life a lot easier. For starters, you’ll never have to worry about bandwidth or storage with Web.com, meaning you can build as big as site as you want without fretting about how many people visit your page. This can be especially useful for sites that specialize in file transfer, or one’s that host a large number of videos or photographs. You’ll also be very accessible to people interested in your page, with a personalized email address at your domain name. 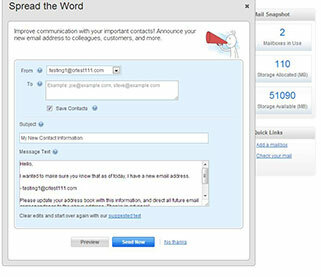 In fact, Web.com gives you unlimited email accounts for your website, in case you have multiple employees or departments to consider. With a 10GB limit on each email account, you can receive quite a few messages before you have to worry about exceeding your limits. As far as technical specs, Web.com monitors its servers 24/7 to try and ensure that every site that it hosts is available at any given time. But, with Web.com’s load balanced servers, you should be less likely to experience any serious down time. You can also rely on monthly site backups from Web.com to ensure that your website is protected in case you lose any files or information on your site. You can also promote your site, thanks to some SEO friendly features on Web.com, which basically help you rank higher on popular search engines. Then, you can observe the fruits of your labor with Google Analytics integration to see how changes and promotions affect your popularity. Web.com really goes to considerable lengths to make sure that all of its customers can receive the support they need when they need it. In addition to phone support from 8 a.m. to 8 p.m. EST, you can also submit email tickets at any time to receive a timely answer from Web.com’s support staff. For more obscure questions, Web.com support professionals were more than happy to look up any information you need to help you get the most out of your services. You can also browse the “Advice and Resources” section of Web.com’s help center to receive helpful insights on things you might not have known were possible. Web.com features low introductory rates to attract savvy customers, such as the special offer available on our website for only $0.50/month. 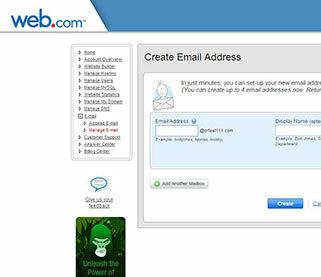 You’ll receive all of the best features of Web.com’s world famous service for a cost lower than you’d probably expect. If you’re just looking to use Web.com to host your site, you can house it there for only $5.95/month to start. Packages range up from there, but all feature the same phenomenal service and 99.99% uptime guarantee from Web.com.